This week you have lashed out against the "Feminist Left." I understand your frustration. You see that women are not flocking to the McCain/Palin ticket and you don't understand why. Allow me to illuminate you. The truth is, Senator McCain, your candidacy is the worst for women in recent history. You thought that women would vote for you once you put a woman on your ticket. But women aren't fooled by this tactic. Women, Senator McCain, vote on issues important to us, not on whether or not the candidate wears a skirt. The problem, Senator McCain, is your voting record, platform, and policies. You have consistently voted wrong on issues that directly impact American women's bank accounts, personal liberties and health. The best part of this is that I've been in many meetings with Ellie and heard her deliver passionate pleas so I love that I can hear her voice when I read this smack down to McCain. 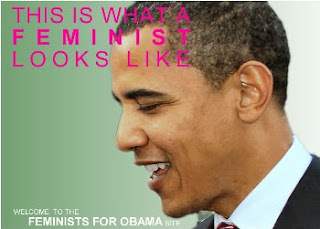 The Feminist Majority also launched a site called Feminists for Obama where there are some great videos addresses some of the issues that they believe are central to voting for Obama and against McCain. There's even a blog!